Online registration is here for select classes with more coming soon. 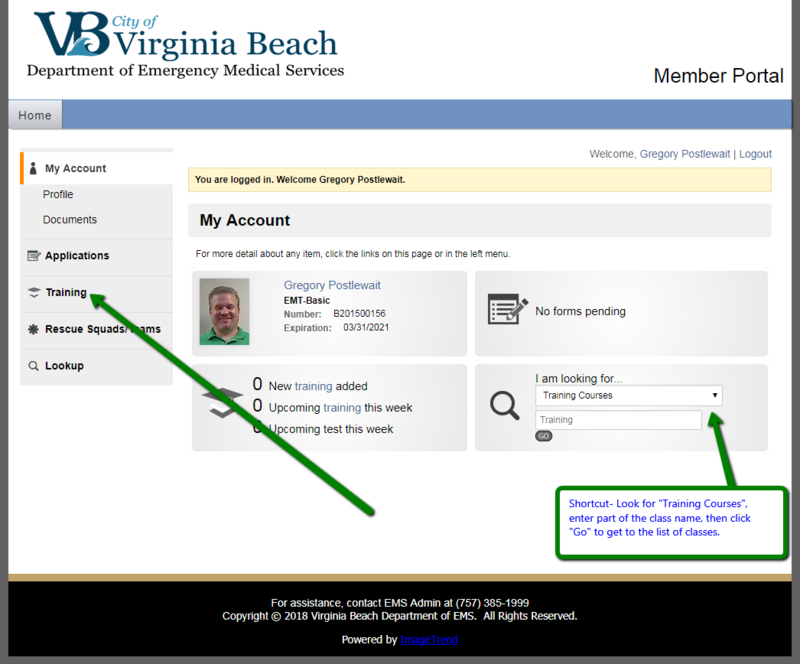 All providers are now encouraged to do this self-service rather than call or email the admin staff. Please follow this procedure to sign up for training. For applicants, use the same login you used to submit an application. For current members, you will sign in using your Elite username and password. 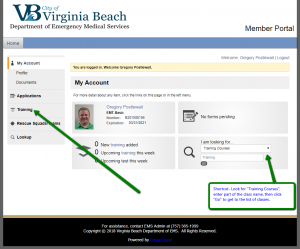 You can lookup your username or reset your password as needed. Click on Training on the left side of the screen. 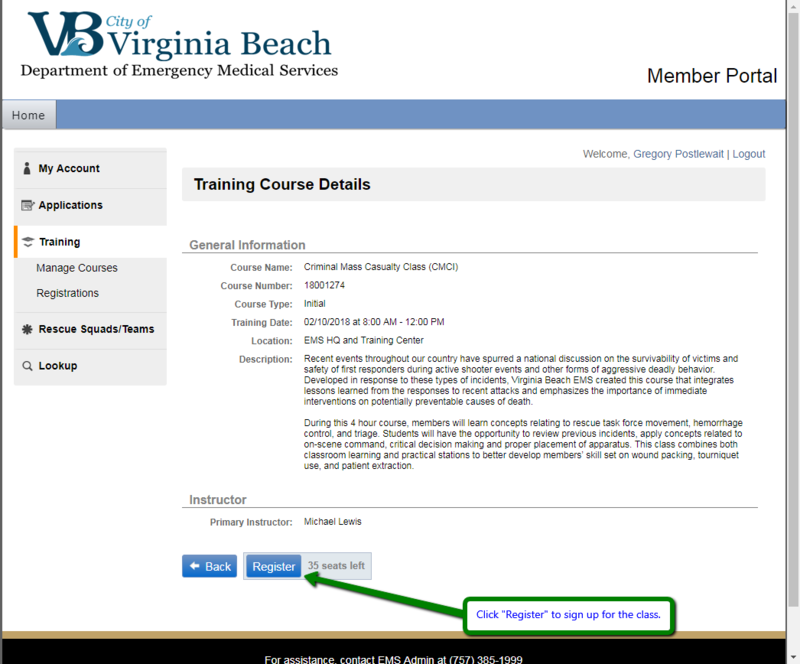 As a shortcut, Look for “Training Courses”, enter part of the class name, then click Go to skip step 3. Enter a date and/or part of a class name and click the “Go” button to find your desired class and session, then click on the desired class Start Date. Tip- Click on the Start Date column header to sort all classes by Start Date. 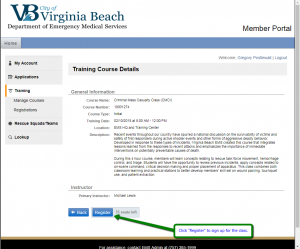 Click the “Register” button to sign up for the class. After registration you will receive an email containing class information and a calendar invite. You should also receive an email the day before class as a reminder. If you are unable to attend class, you must call or email the Admin staff or the instructor. Some classes have limited seats, so cancel your registration early if you know you can’t make it. It will allow your fellow members to register and attend. Some classes have prerequisite classes or certifications. Those will be detailed on the class information page. Registrations for those classes are individually reviewed and you may be contacted by the Admin staff if your records do not indicate you posses those requirements. Finally, while you are in the member portal, have a look around. 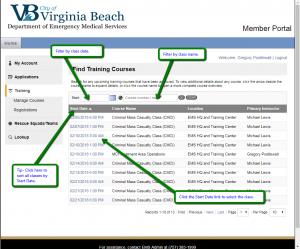 Confirm your contact information under Demographics, ensure your certification information is accurate, even view your training records. Questions? 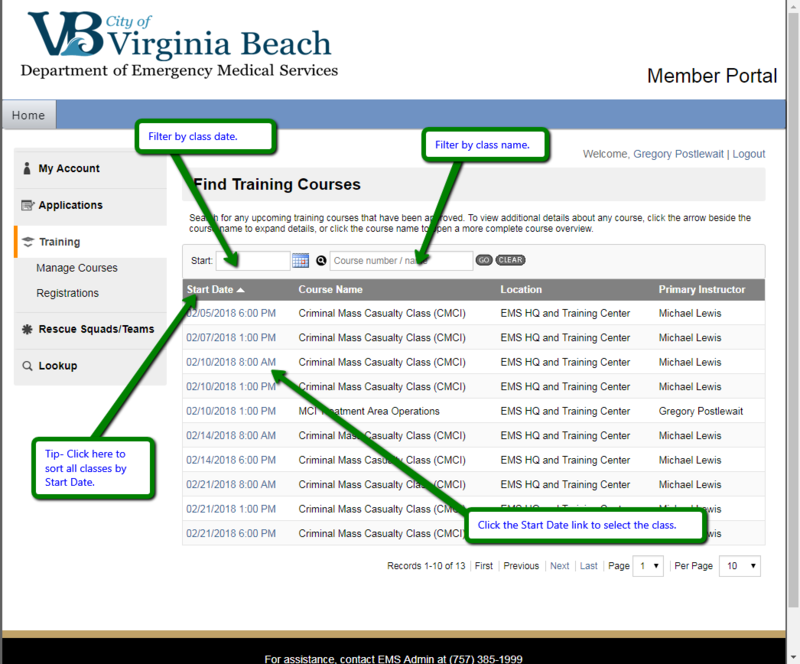 Contact the Admin staff at (757) 385-1999 or email EMS Training. 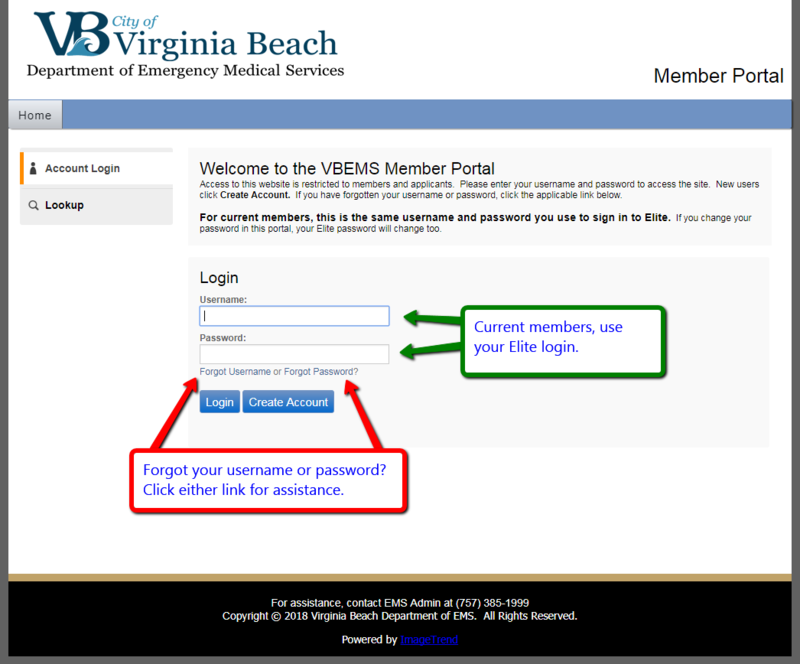 Copyright © 2019 Virginia Beach Department of EMS. All rights reserved.